facing! TCGi is one of the co-sponsors of this Report. This critical Benchmark Report reflects important data regarding the state of Procurement in 2016 (May). 100 Procurement Executives were asked a wide range of questions to determine what are the biggest challenges they and their organizations face. 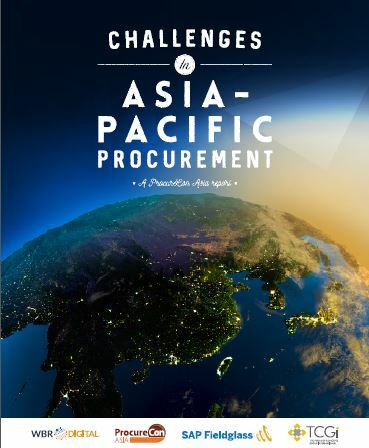 The data confirms that the Asia-Pac region faces similar issues to other global regions. The Benchmark Report you requested is on its way!